The 2009 Winners Of MacArthur 'Genius Grants' The John D. and Catherine T. MacArthur Foundation has announced the recipients of this year's fellowships. Twenty-four innovators in art, science, writing and more will each receive $500,000 over the next five years. The John D. and Catherine T. MacArthur Foundation has announced the recipients of this year's fellowships. Twenty-four innovators in art, science, writing and more will each receive $500,000 over the next five years. The descriptions of the 2009 MacArthur Fellows below are taken from the MacArthur Web site. Scroll down to see NPR profiles, interviews and features on these individuals. 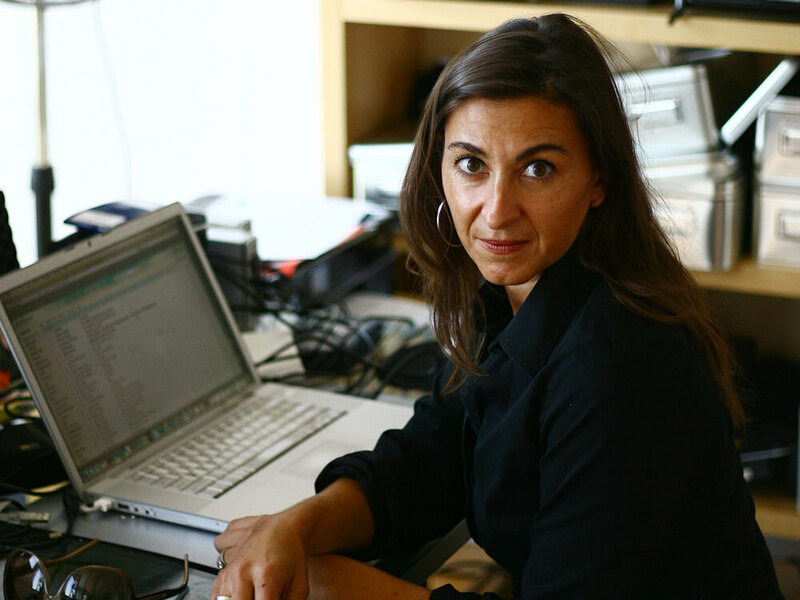 Lynsey Addario is a photojournalist who has shot some of the most pressing conflicts and humanitarian crises of the 21st century. In Afghanistan, Sudan, Iraq and elsewhere, she has gained access to regions and people often closed to outsiders. Her photographic essays have depicted the lives of both fighters and civilians in many of the world's war zones. Her work often focuses on women in male-dominated societies. Her most recent project involves photographing survivors of gender-based violence in the Congo. These photographs are part of a traveling exhibition intended to increase awareness of the ongoing human rights abuses taking place there. The MacArthur Foundation has said her work plays an important role in "demystifying foreign cultures and exposing the tragic consequences of human conflict." The foundation also commended her for providing a valuable historical record for future generations. 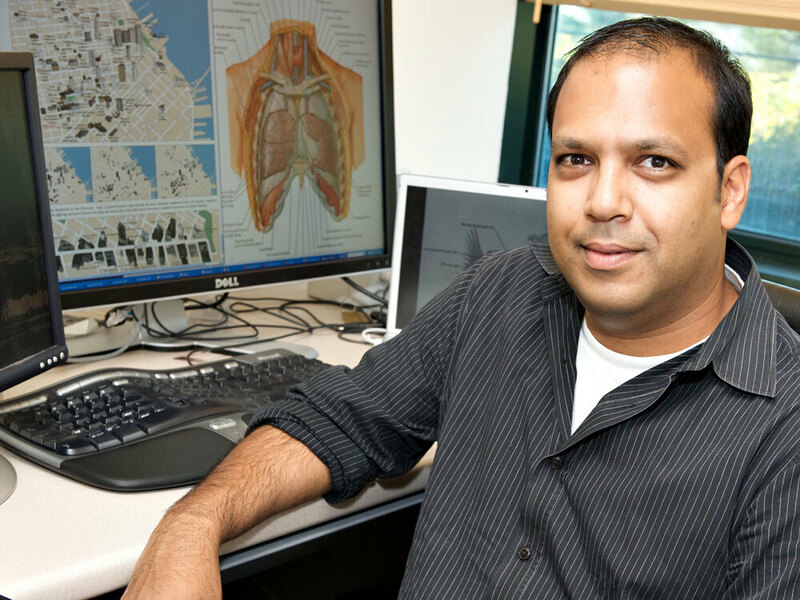 Maneesh Agrawala is a computer scientist designing visual interfaces that enhance the ability to understand large quantities of complex information. Working at the intersection of visualization, human-computer interaction and computer graphics, he draws on cognitive psychology to identify the key perceptual and design principles underlying graphic illustrations. Agrawala developed a system that generates accurate and intelligible step-by-step assembly instructions for everyday items as well as complex machines, such as aircraft engines. The system utilizes exploded views — so that individual components of the object are spatially separated — in order to provide the user with a more direct understanding of the actual steps required for assembly. Agrawala and colleagues subsequently expanded on this work to create a program that produces illustrations of complex, three-dimensional objects, such as anatomical models. Their program includes an interface that allows users to explore the spatial relationships among components by isolating parts of an object to magnify, expand or collapse. The MacArthur Foundation has said Agrawala's work is "transforming how we use, synthesize and comprehend the ever-increasing volume of digital information we encounter in our daily lives." 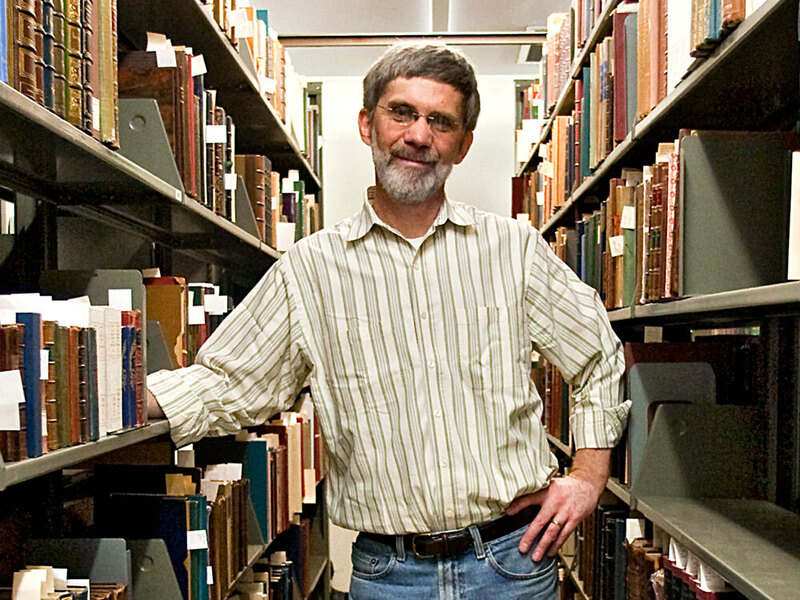 Timothy Barrett is a craftsman and paper historian who is working to preserve the art of hand-papermaking. The MacArthur Foundation has said that without Barrett's work, centuries-old hand-papermaking practices might otherwise be lost. As the founding director of the papermaking facilities at the University of Iowa Center for the Book — the only program in the United States that focuses on making Western and Japanese-style paper by hand — Barrett has trained a generation of papermakers to create conservation-sound paper. His book Japanese Papermaking: Traditions, Tools, and Techniques (1983), which draws on research he conducted in Japan on the history of paper as well as his experience as a papermaking practitioner, compiles for Western audiences essential knowledge about the unique qualities of handmade Japanese paper — a fundamental repair material for all conservators. Barrett has also developed a variety of specialty and production papers to address the needs of book and paper conservators. Among his many conservation projects, he and his co-workers fabricated the handmade archival paper used to re-house the Declaration of Independence, the Bill of Rights and the Constitution as part of the "Charters of Freedom Re-encasement Project" in 2002. 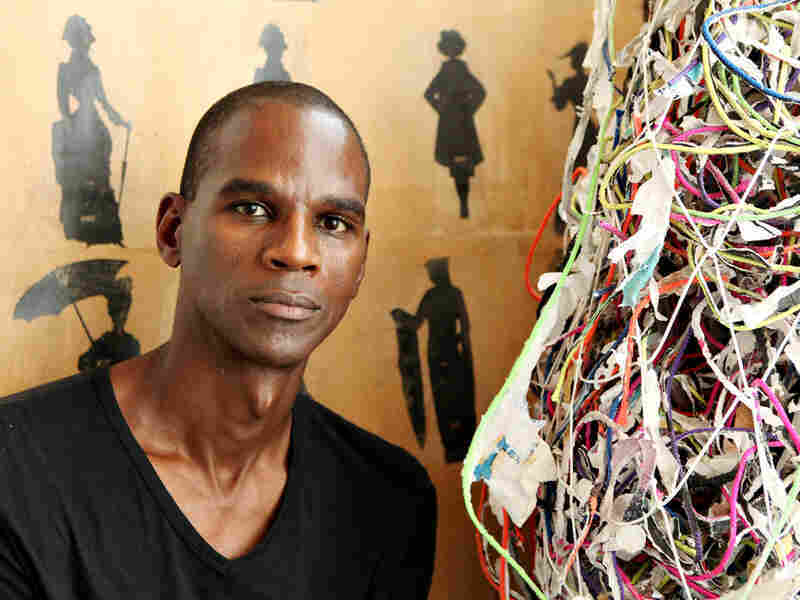 Mark Bradford is an artist whose signature work takes the form of massively scaled, abstract collages that he assembles out of signage and other materials collected, most frequently, from his own neighborhood in south-central Los Angeles. Bradford makes use of bits of billboards, handmade advertisements, foil, string and materials from beauty shops, which he arranges, layers, singes, sands and bleaches into brilliantly hued, painterly structures that appear to sprawl and swirl. His work suggests intricate systems in a constant state of flux. The MacArthur Foundation says that Bradford is "developing a visually arresting means of representing in two dimensions the dynamism and depth of the sites and streets he excavates." 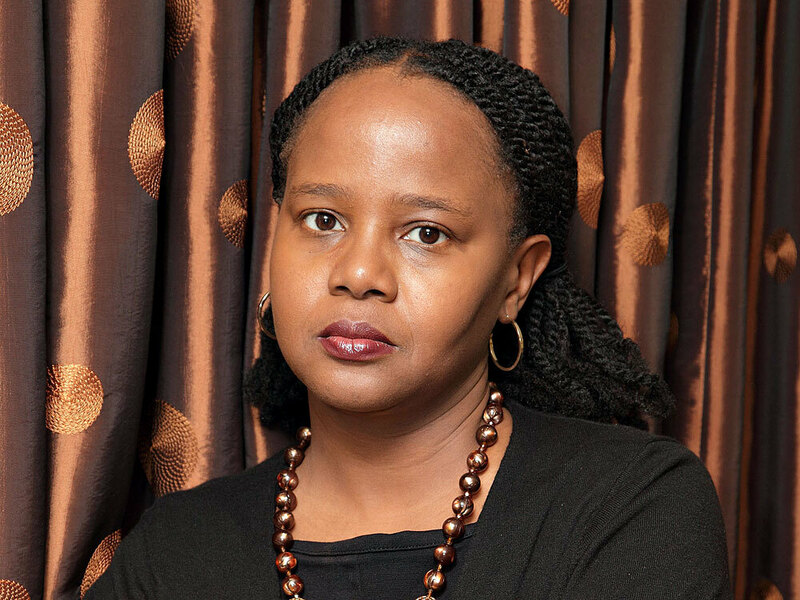 Edwidge Danticat is a novelist who writes about Haiti's complex history and the Haitian immigrant experience. In works that chronicle the lives of ordinary Haitians, she evokes themes of family, isolation and community. She recounts the 1937 massacre of Haitian workers in the Dominican Republic in The Farming of Bones (1999), a story told through the eyes of a young domestic servant. In The Dew Breaker (2004), Danticat illustrates how events in Haiti continue to haunt the immigrants of the diaspora. Her most recent book, a memoir entitled Brother, I'm Dying (2007), pays tribute to her father and uncle through an unflinching account of the triumphs and tragedies they experienced in Haiti and the United States. The MacArthur Foundation applauded her work by saying, "Danticat provides a nuanced portrait of the intersection between nation and diaspora, home and exile, and reminds us of the power of human resistance, renewal, and endurance against great obstacles." Rackstraw Downes is a painter whose minutely detailed, oil-on-canvas landscapes invite viewers to reconsider the intersection between the natural world and man-made objects. In order to capture the precise details of lighting and weather in his paintings, Downes sometimes spends many months completing a single piece. His landscapes depict scenes generally overlooked or dismissed for lack of a traditional aesthetic appeal. His subjects range from the urban and industrial landscapes of the East Coast to the oil fields and vast, empty terrain of Texas. The MacArthur Foundation says that "in painting the American landscape as it is, not as it has been idealized, Downes imbues seemingly ordinary subjects with extraordinary power." The foundation commends him for challenging familiar conceptions of realist painting. 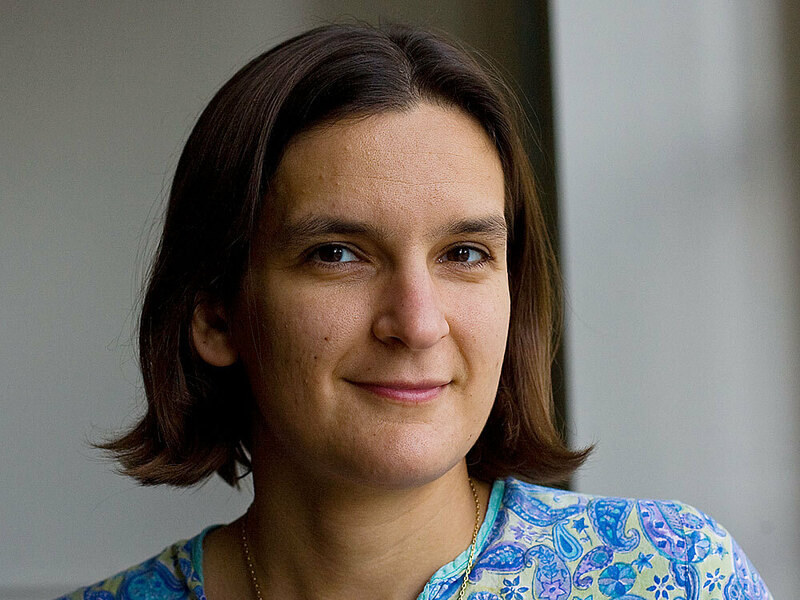 Esther Duflo is a development economist who is exploring the social and economic forces that perpetuate cycles of poverty in South Asia and Africa. Through field experiments, she has identified linkages and causal relationships between policy, behavior and socio-economic status. Her work focuses largely on the impact of economic interventions and social policies on women and children in developing nations. In one study, Duflo measured the effect of monetary transfers to poor households for child health and found that pension transfers to grandmothers, rather than grandfathers, brought about the greatest improvement in the health of girls. 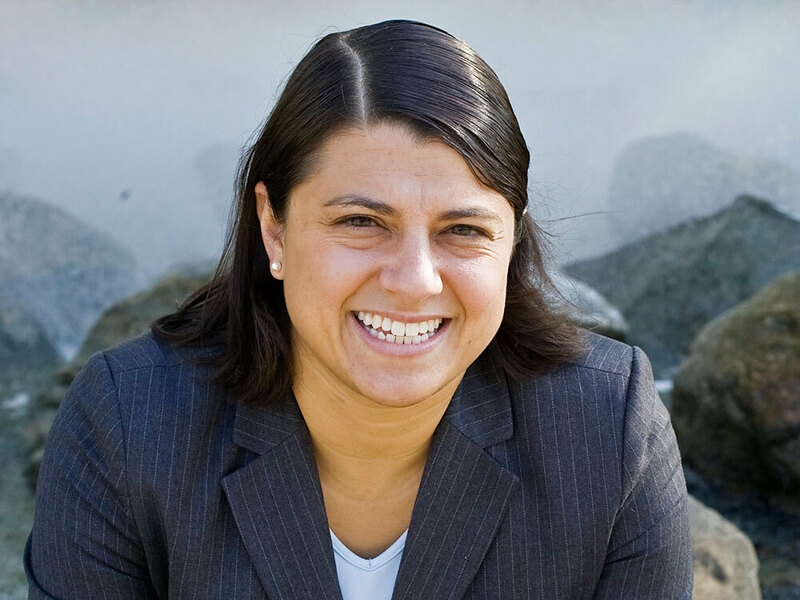 The MacArthur Foundation credits Duflo with developing methods that have brought increased rigor to the assessment of the costs and benefits of economic development interventions. 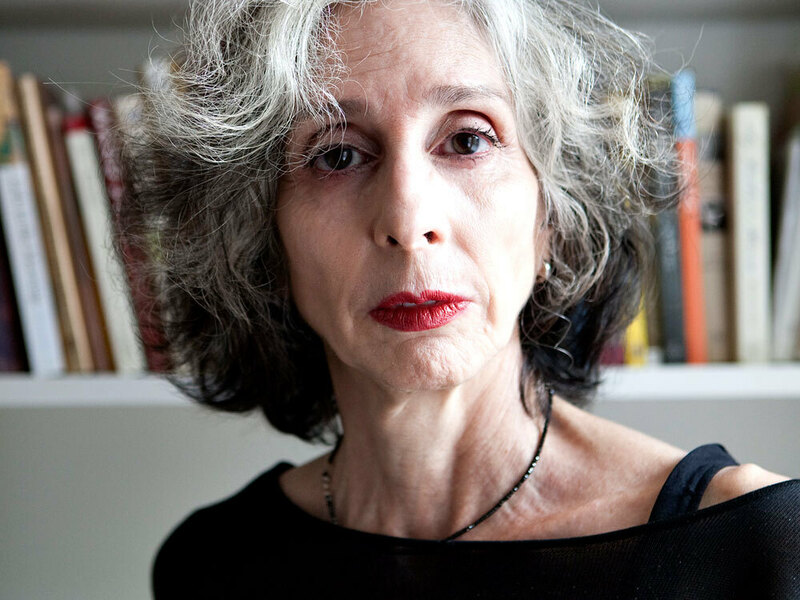 Deborah Eisenberg is a writer of short fiction whose works present an unusually distinctive portrait of contemporary American life. Her stories often depict men and women coming to terms with their personal relationships and grappling with the changing social context in which those relationships occur. The MacArthur Foundation says the hallmarks of Eisenberg's style are "crystalline prose, keen perceptions of emotional nuance and wry wit." Her most recent short story collection — Twilight of the Superheroes (2006) — looks at the terrorist attacks of Sept. 11 and their aftermath, and focuses on a group of young, post-collegiate friends who witness the attacks from their sublet loft in downtown New York City. Eisenberg juxtaposes the disaster's lasting impact on the individuals against the ordinariness and routines of daily life, such as working at a job and coping with one's family. In awarding Eisenberg, the foundation said the author "reveals common yet often unnoticed facets of human experience with skill, sensitivity and precision." Lin He is a molecular biologist who has made contributions to an active, new avenue of cell biology: the role of microRNAs in the development of cancer. Her graduate training focused on the relationship between pigmentation genes, behavior and neuropathology. But as a postdoctoral researcher, she shifted focus in an entirely new direction, working on microRNAs. 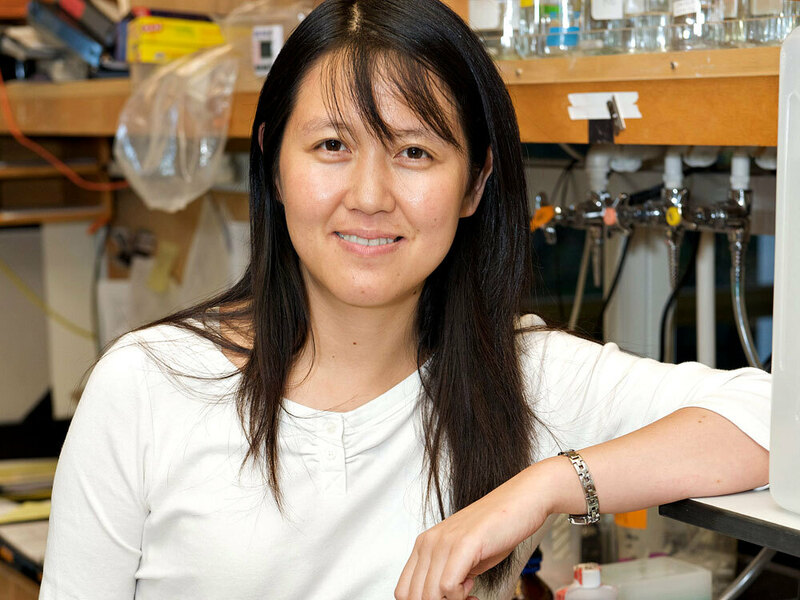 The MacArthur Foundation commends her for making "significant advances with direct implications for the development of future cancer treatment strategies." Peter Huybers is a climate scientist who, by mining the wealth of often-conflicting experimental observations, developed several theories for explaining global climate change on various time scales. Much of his research focuses on the Pleistocene, the epoch that spans from about 1.8 million years ago to the end of the most recent ice age, some 12,000 years ago. Huybers showed that the long-recognized period of glacier formation could be explained mainly by changes in the angle of the Earth's axis. Huybers has applied his findings to recent conditions, and sought to explain changes in land ice on the scale of years or decades. The MacArthur Foundations says, "Through his imaginative yet simple interpretations of fundamental questions in climatology, geology and oceanography, Huybers is advancing our understanding of both past and ongoing climate change." James Longley is a filmmaker who has made intimate portraits of people in politically volatile countries in the Middle East. The MacArthur Foundation has commended Longley for "deepening our understanding of the historical and cultural dimensions of the region's conflicts." For his low-budget, self-financed films, Longley lives among ordinary families, gaining access to people in places rarely chronicled on film by Westerners. He captures his subjects in personal settings and situations. His films focus on life under conditions of war, political chaos and economic devastation, and the parallel universe of courage, resilience and resistance. For his project Iraq in Fragments (2006), Longley spent two years in the country without the protection of private security or the assistance of a film crew. In a trilogy, he presents life in war-ravaged Iraq through the eyes of an abandoned young boy on the streets of Baghdad, the collective energy and obsession of Muqtada al-Sadr's followers, and the agrarian solemnity of Kurdish family farmers. The foundation commends Longley for "illuminating the beauty of foreign lands and providing Western audiences with a critical new perspective on communities living under extremely challenging conditions." L. Mahadevan is a mathematician who applies complex mathematical analyses to a variety of seemingly simple, but vexing, questions across the physical and biological sciences — how cloth folds when draped, how skin wrinkles, how flags flutter, how Venus' flytraps snap closed. 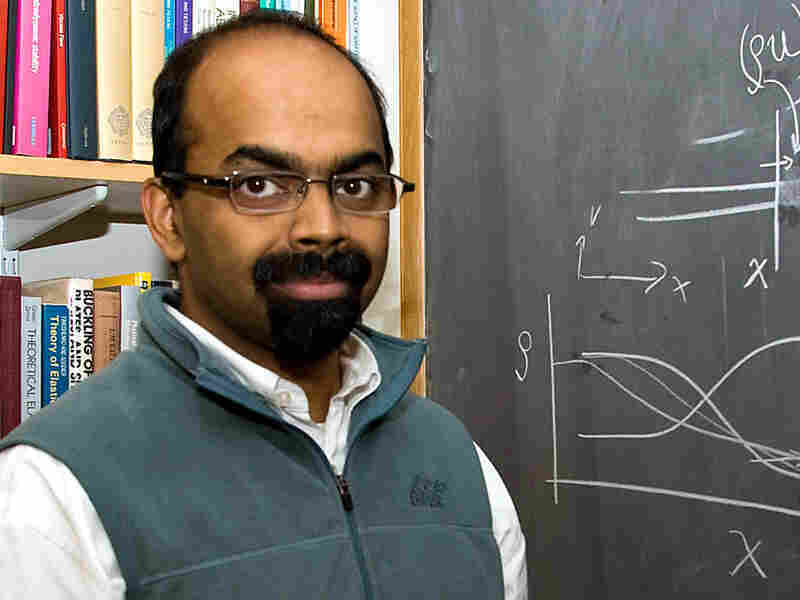 Through his explorations of shape and motion, in many different material types, sizes and time frames, Mahadevan strives to identify commonalities of the fundamental nonlinear and nonequilibrium behavior driving them. Though he searches for and elucidates mathematical principles underpinning complex behaviors, his focus remains on developing hypotheses that can be confirmed or rejected empirically in the lab. 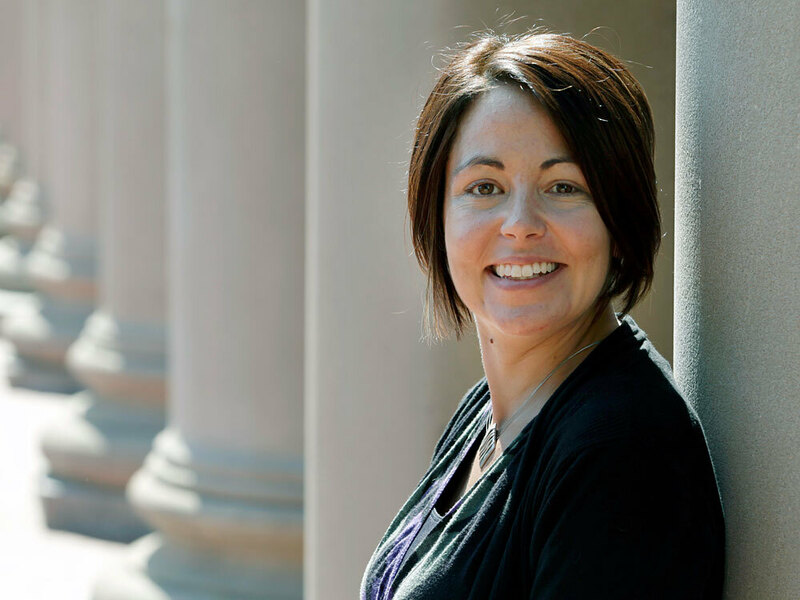 Heather McHugh is the author of eight volumes of poetry, numerous works of translation and a book of essays on poetics. He work focuses on various aspects of the human condition, and she has been a significant voice in American literary life for almost four decades. 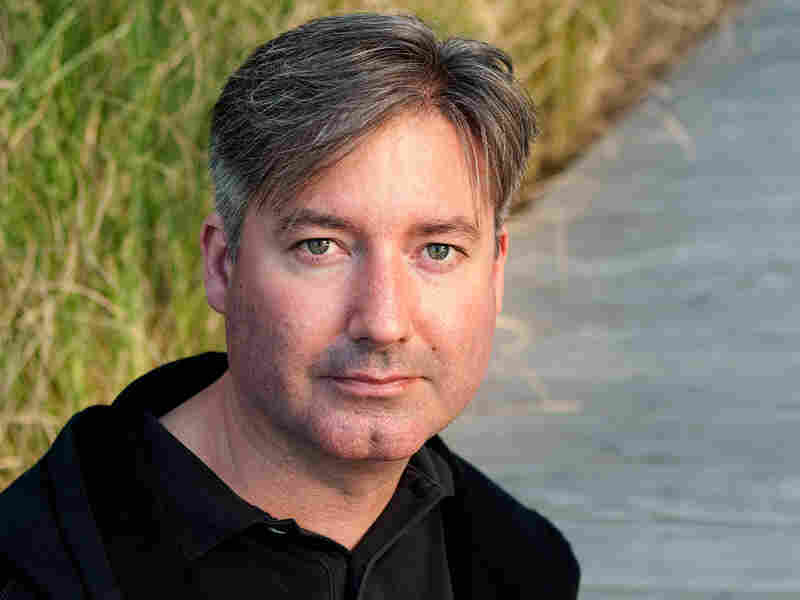 The MacArthur Foundation describes McHugh's poems, which are rich with puns, rhymes and syntactical twists, as revealing "the complex layers of meaning that individual words or phrases contain. The result is intellectually challenging, yet emotionally engaging verse that balances gravity with humor." 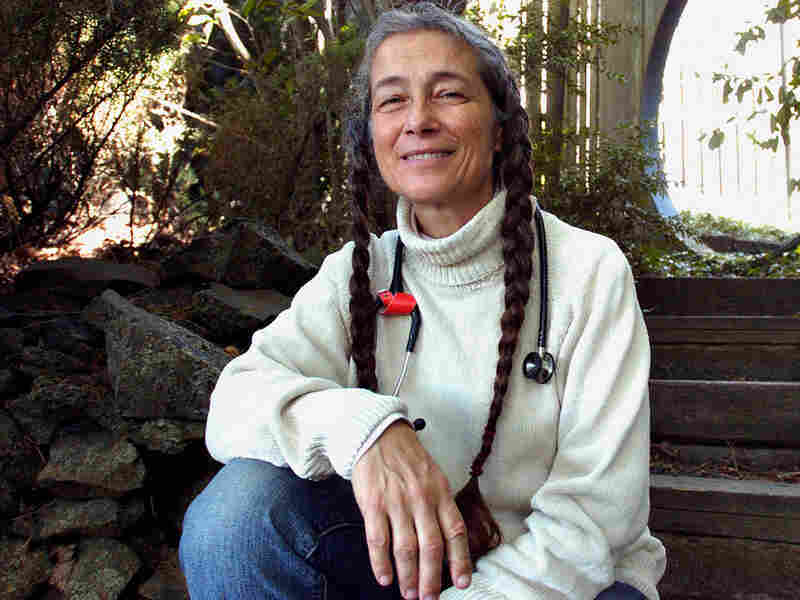 Aside from being a prolific writer, the foundation applauds her for being a dedicated teacher, saying, "McHugh has already influenced a generation of poets and will continue to enrich the art form for years to come." Jerry Mitchell is an investigative reporter with the Jackson, Miss., Clarion-Ledger whose efforts have ensured that unpunished murders from the civil rights era are finally prosecuted. In 1989, Mitchell began his immersion in decades-old stories of thwarted justice and undertook a meticulous review of the 1963 assassination of NAACP leader Medgar Evers. Ku Klux Klan member Byron de la Beckwith had been tried twice for this crime in 1964, and each trial ended in hung juries. By analyzing hundreds of documents and interviewing scores of witnesses, Mitchell laid the groundwork for a new trial. The case was reopened and culminated in the conviction and life sentence of Beckwith in 1994. Mitchell has since uncovered largely unknown details about many other long-dormant murder cases. 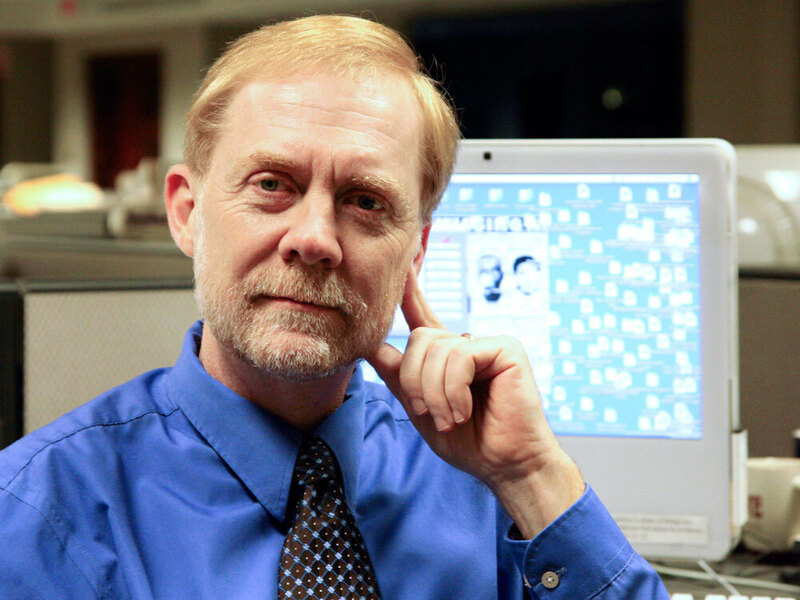 The MacArthur Foundation has said of his work: "In an era when long-term investigative reporting is more the exception than the rule, Mitchell's life and work serve as an example of how a journalist willing to take risks and unsettle waters can make a difference in the pursuit of justice." Rebecca Onie is a public health entrepreneur who is building a low-cost, replicable model that combines the aspirations of college students and the unmet needs of health care institutions to address the link between poverty and poor health. Project HEALTH, which she co-founded while a college sophomore, is designed to help low-income families overcome barriers to health care, which are often the result of issues with child care, transportation, housing, food, education and legal advocacy. Onie recognized that health care providers are neither trained to diagnose nor have the tools to address many of the socioeconomic ills that contribute to poor health. 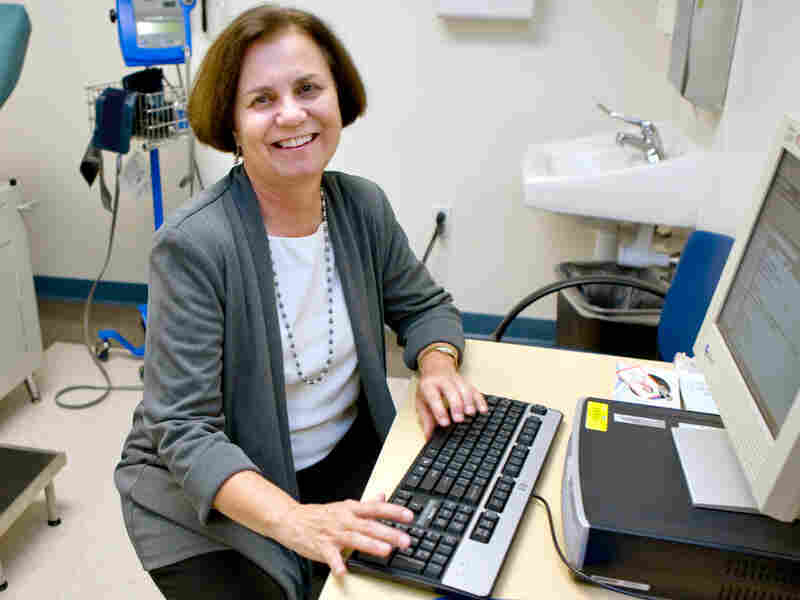 Committed to a concept of a health care system that systematically addresses all patient needs, she created a program that works in concert with hospitals and physician mentors to mobilize college students to assist patients in overcoming obstacles limiting their access to health care. By deploying college students to Family Health Desks in clinics throughout the country, Project HEALTH enables these clinics to establish new protocols for routinely screening and addressing patients' unmet resource needs. Equally important, by providing volunteers with direct experience of the relationship between health and poverty, the program has created a generation of young people committed to improving health care delivery in their future careers. Founded on one campus in one city, Project HEALTH now has hundreds of volunteers helping thousands of families each year at pediatric sites in Boston, Providence, New York, Baltimore, Washington, D.C., and Chicago. 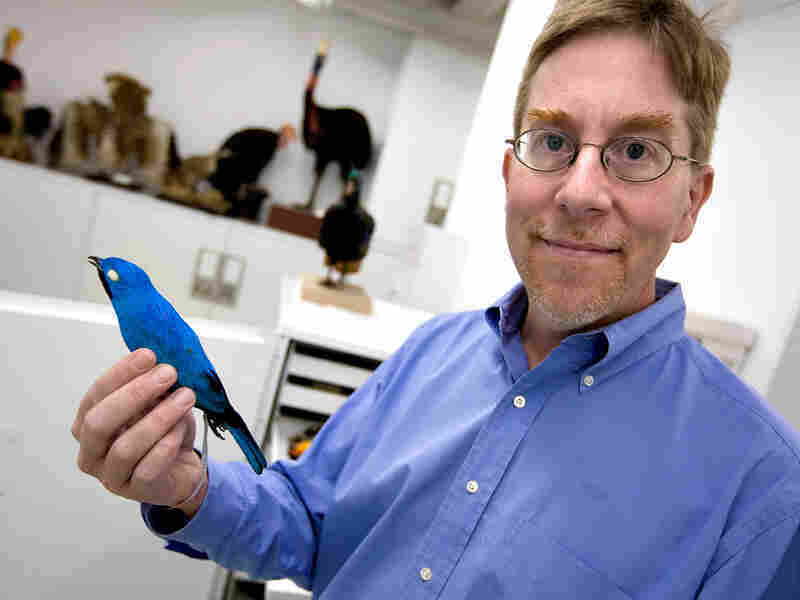 Richard Prum is an ornithologist who draws from a wide spectrum of disciplines, including developmental biology, optical physics, molecular genetics, phylogenetics, paleontology and behavior ecology, to address central questions about bird development, evolution and behavior. Through study of the morphology and molecular control of feather development, Prum deduced a five-step sequence of genetic adaptations that plausibly accounts for the evolution of contemporary feather structure. This theory ties bird origins closely to a group of dinosaurs known as therapods and contrasts with an alternative hypothesis of feather derivation from modified reptile scales. Subsequent discoveries in the fossil record have supported his theory. He has also devoted much attention to the mechanisms of color production in feathers, and has employed his expertise to examine other issues, like the relationship between vocal apparatus morphology and bird song behavior. Upon awarding Prum, the MacArthur Foundation said: "Whatever the phenomenon under study, Prum habitually synthesizes concepts from disparate fields and follows surprising paths to reach carefully reasoned conclusions. 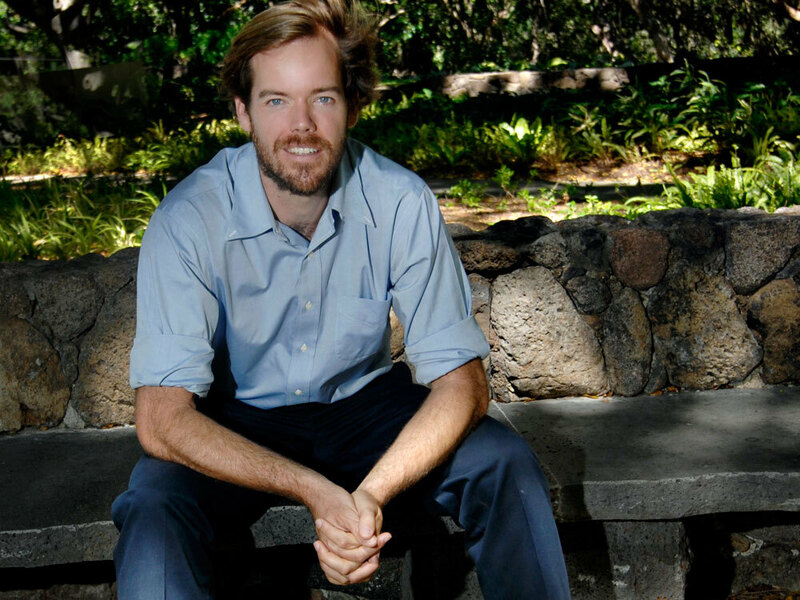 His research to date raises the profile of ornithological studies in several fundamental aspects of biology, and he continues to open new frontiers with each subsequent project." 'Spore': Does Evolution Really Happen Like That? 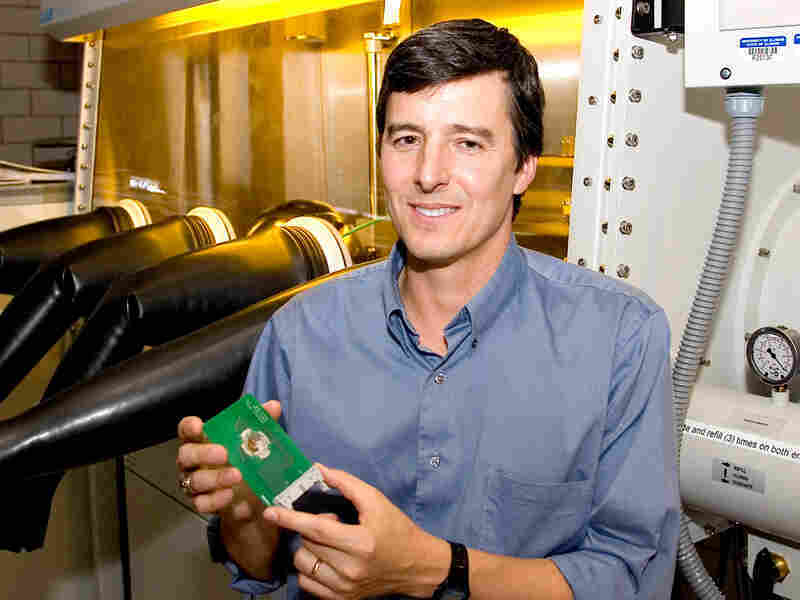 John Rogers is a materials scientist known for his contributions to applied physics, particularly in the development of flexible electronic devices. Rogers has developed flexible semiconducting films, based on silicon or carbon nanotubes. These devices can be placed in locations where standard silicon wafer technologies are impractical or impossible; the potential applications include photovoltaic cells, adaptive optics, electronic textiles and implantable biomimetic circuits. Upon awarding Rogers, the MacArthur Foundation said: "Through his basic research in nanotechnology, chemical engineering and applied physics, Rogers is building the foundation for a revolution in manufacture of industrial, consumer and biocompatible electronics." 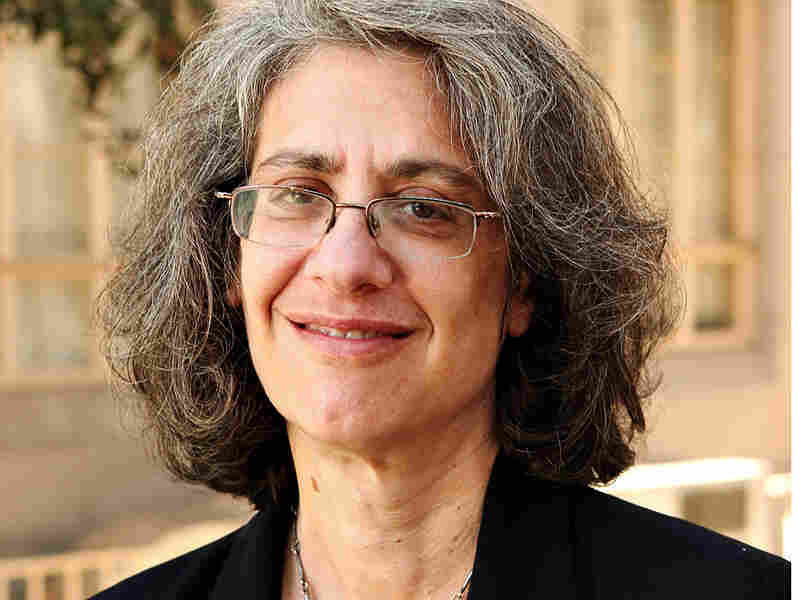 Elyn Saks is a legal scholar and mental health-policy advocate whose work is expanding the options for those suffering from severe mental illness. She has played a major role in contemporary discussions of mental health law, patients' rights and multiple-personality disorder, including such issues as involuntary commitment, competency to be executed, proxy consent and the right to refuse treatment. Her contributions and commitment to mental health law took on a personal dimension with the publication of her 2007 memoir, The Center Cannot Hold: My Journey Through Madness. In this memoir, Saks made public for the first time her lifelong struggle with schizophrenia, including severe episodes of psychosis as well as experiences with misguided or harmful treatments. Currently, Saks is leading a study with a multidisciplinary team of colleagues to understand better high-functioning schizophrenics, a largely unexamined area. Her personal biography will give this study an uncommon depth and richness, and further extend her impact on mental health law and disability rights policy. Recognizing her achievements, the MacArthur Foundation said: "She has been able to overcome this usually debilitating illness, bringing to her work both expert and firsthand perspectives. Though Saks achieved professional acclaim as a legal scholar before most friends and colleagues knew of her own battle with mental illness, the publication of her memoir has provided additional gravity to her contribution to scholarship, practice, and policy." Jill Seaman is a physician working to improve infectious diseases treatment in southern Sudan. She first began treating the Nuer tribespeople of Sudan's Western Upper Nile province in 1989, when an epidemic of visceral leishmaniasis — a deadly, parasite-borne infection — devastated the already conflict-ravaged and malnourished population. In the midst of a civil war, she worked with Medecins Sans Frontieres (Doctors Without Borders) to set up makeshift clinics and offer the only treatment option for an area with no health care infrastructure, electricity or running water. After Doctors Without Borders left Sudan in the late 1990s, Seaman established her own medical organization to continue her work in Sudan during its dry season. (She spends the remaining portion of each year in Bethel, Alaska, providing health services to Yup'ik Eskimo communities.) In response to the challenge of caring for semi-nomadic and illiterate patients suffering from life-threatening diseases, Seaman has devised field-appropriate protocols for administering complex and lengthy regimens of daily injections. She has conducted rigorous investigations on the epidemiology, diagnosis and treatment of epidemic leishmaniasis with the goal of developing faster diagnostic methods and identifying affordable drug combinations to reduce the duration of therapy. Though the leishmaniasis crisis has subsided in recent years, Seaman continues to apply her field expertise to the rapid spread of tuberculosis, malaria and hepatitis B throughout East Africa and to train local staff, extending the reach of her practice. The MacArthur Foundations says: "By adapting the tools of 21st-century medicine to address the needs of those in abject poverty, Seaman serves as a pioneering authority on how to provide life-saving medical care in all but impossible conditions." Beth Shapiro is an evolutionary biologist, who has focused on tracing the population history of recently extinct species, like the mammoth or dodo, or threatened species, such as bison and polar bears. 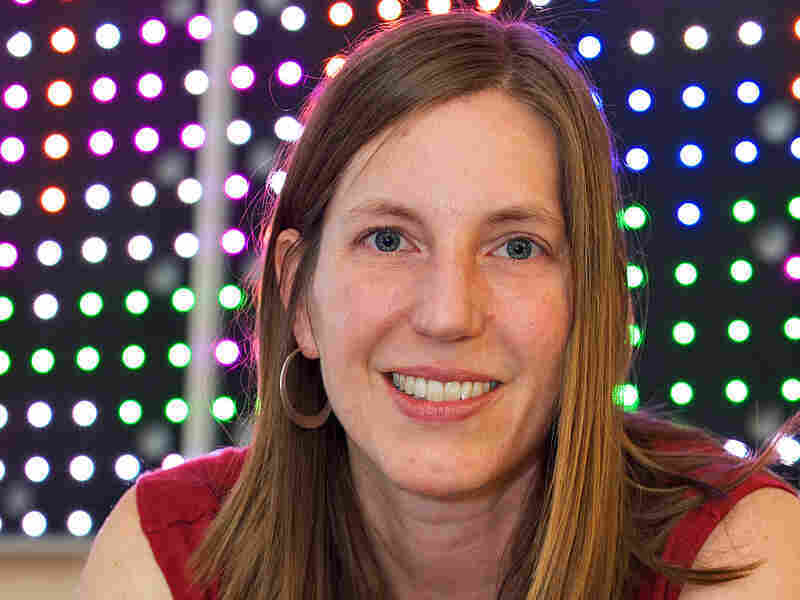 Shapiro and her colleagues introduced a modification of a traditional population-estimating technique, which improves estimation of the statistical error, providing greater confidence in their conclusions. She recently showed that a precipitous drop in the bison population occurred before the peak of the last glacial period some 40,000 years ago rather than, as previously believed, with the introduction of human predation, which came many thousands of years later. She is employing a similar approach to polar bears to assess the effects of environmental change on population size and biodiversity, data that are essential to current and future conservation efforts. In a second, more recent, line of research, Shapiro uses her computational analysis of gene sequences to study fast-evolving RNA viruses. Using data collected from individual patients over a period of months, this work may provide insight into the development of virulence in human pathogens. The MacArthur Foundation says, "Her ambitious research is enhancing our understanding of fundamental processes such as evolution, extinction, pandemic disease, climate change and anthropogenic impact on the biosphere." 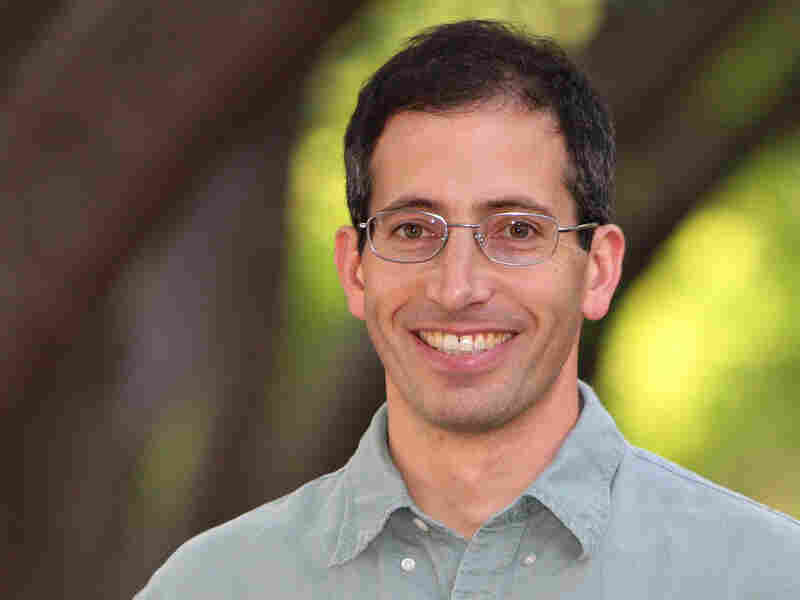 Daniel Sigman is a biogeochemist who explores the interaction of biomass and climate in shaping the Earth's geologic history. His research focuses largely on determining the role of carbon dioxide sequestration (through death of photosynthetic creatures that drop to the bottom of the ocean). Using sediments collected from the deep sea floor both at its surface and deeper core samples at various water depths and latitudes throughout the world's oceans, Sigman is reconstructing the quantitative net contribution of ocean biology to the carbon cycle over geological time scales. He and his colleagues are also developing clearer notions of the effects of biomass in present-day carbon cycling. He has improved the resolution of a method for measuring nitrate flux through sophisticated analysis of the stable oxygen and nitrogen isotopes. The MacArthur Foundation commended Sigman's work by saying, "Such advances promise to give us an ever-sharper picture of the physical, chemical, geological, and biological forces that have regulated the oceans' fertility and the Earth's climate over the past 2 million years." 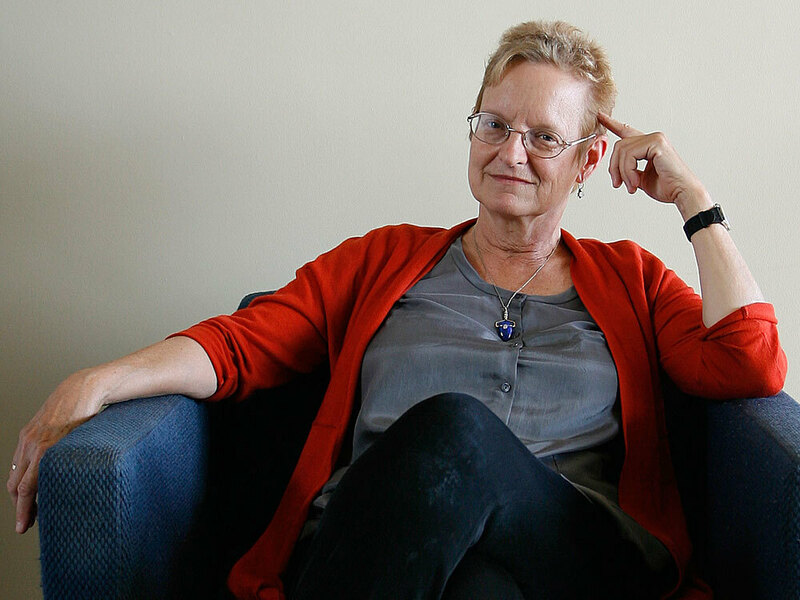 Mary Tinetti is a physician who has pioneered the study of a long-recognized, but previously little-investigated, public health problem in gerontology: injury due to falls by elderly people. Early in her career, Tinetti undertook efforts to deconstruct the prevailing notion of falls as "accidents" unavoidably associated with advanced age. She has championed the notion that injuries from falling should be reconceived as an integral part of the diagnosis and treatment of elderly patients who suffer from diseases such as hypotension, diabetes, depression, arthritis and insomnia. Even with her prolific empirical research, Tinetti maintains a focus on the health of individual patients. She created a large-scale, interdisciplinary program in Connecticut that aims to prevent falling and reduce the effects of injuries by integrating fall prevention exercises into routine health care of older adults. Of her work, the MacArthur Foundation says: "With her multidimensional strategies, Tinetti is developing a more sophisticated approach for treating the elderly and pushing the field of geriatrics toward a comprehensive understanding of how the ailments of aging can accumulate in unexpected ways." Camille Utterback is an artist who uses digital technologies to create works that redefine how viewers experience and interact with art. Drawing upon traditional media such as painting, photography and sculpture, she writes computer code that seamlessly blends the interactive elements of each piece with her aesthetic vision. In her 1999 video installation Text Rain, made with Romy Achituv, the interface of video camera and tracking software allows a viewer's entire body to engage with text. As viewers stand in front of the projection, their shadows interrupt the falling streams of seemingly random words; the words eventually come to rest on the outline of the viewers' bodies to reveal lines of a poem. A later installation, the External Measures series (2001-2008), reacted to people's motions and involved the viewer in the act of creating monumental paintings and drawings. And Utterback's Abundance (2007), a temporary outdoor video projected onto San Jose's Richard Meier-designed City Hall dome, transformed an impersonal public space into a colorful environment that was responsive to human presence and movement. The MacArthur Foundation says: "With each subsequent project, Utterback is creating works that encourage audiences to take part in new and exciting artistic collaborations and enriching the experience of living in a technological age." 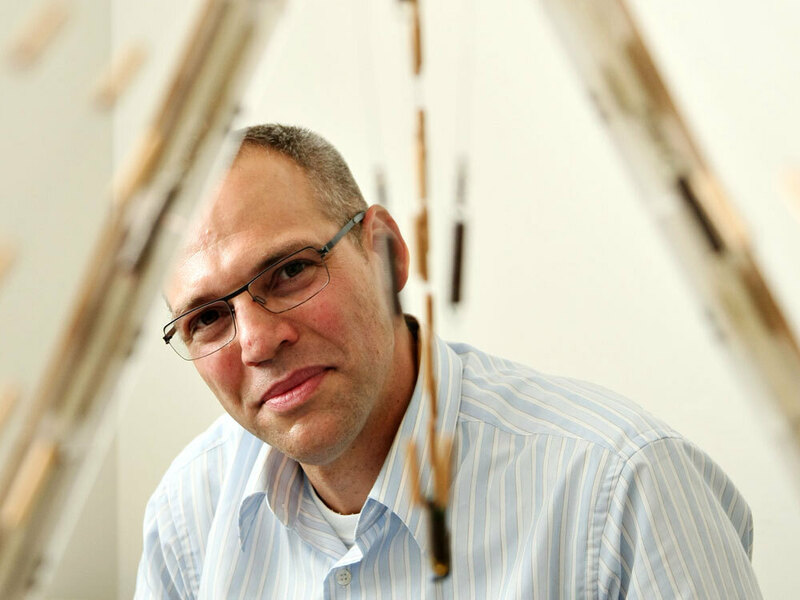 Theodore Zoli is a structural engineer who is leading the design of bridges around the world and making major technological advances to protect transportation infrastructure in the event of natural and man-made disasters. An expert in long-span, cable-supported bridges, he has played a role in the creation of a number of bold contemporary structures, from the Leonard P. Zakim Bunker Hill Bridge in Boston to the Blennerhassett Island Bridge over the Ohio River. In the aftermath of Sept. 11, 2001, Zoli focused, as well, on developing armoring strategies to retrofit iconic bridges across the United States to maintain their structural integrity against the possibility of damage from explosion. Drawing from military research on terrorist weapon technologies and tank armor, he developed a novel composite material that represents the state of the art in lightweight, blast-resistant coverings for a broad array of construction applications. 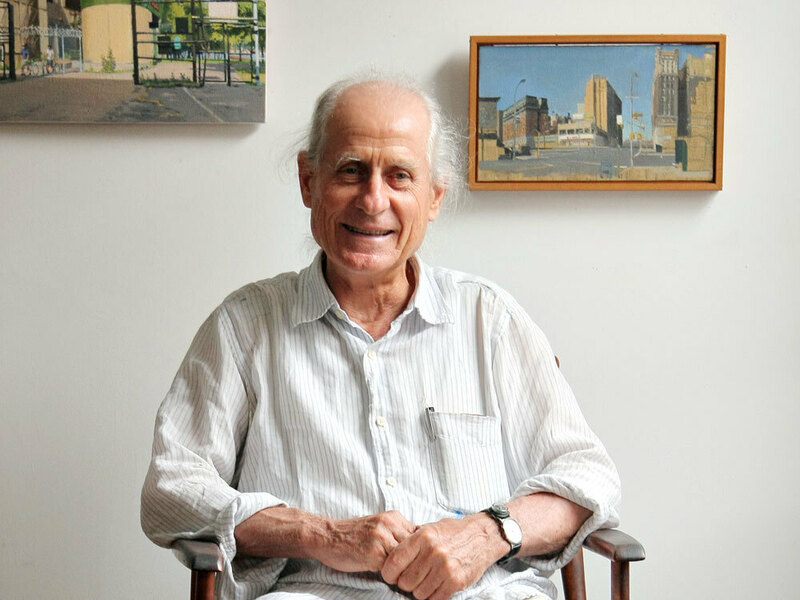 Of his work, the MacArthur Foundation says: "In an era of aging infrastructure and catastrophic structural collapses, Zoli is safeguarding vulnerable links in the nation's highway system and developing design principles for the construction of robust, new landmarks in the United States and across the globe."